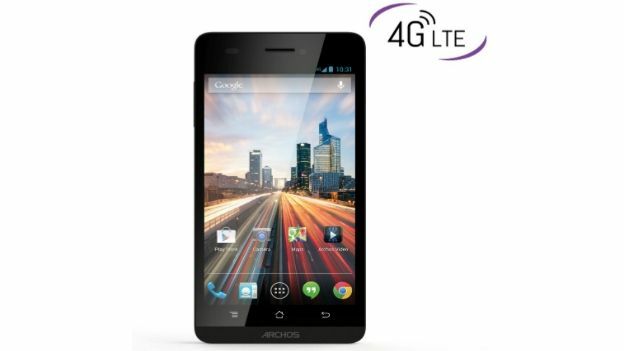 Archos is bringing its first LTE smartphones to CES next week as it takes its first steps into the ruthless 4G market. T3 previously reported that the French company will debut its rumoured Smartwatch at CES, well now it seems Archos will also be unveiling its Helium smartphone range at the tech show next week - its first 4G LTE devices. Running Android 4.3 Jelly Bean, the new unlocked phones start at only £200, reinforcing the company's commitment to providing feature-rich tech at a price that won't dent your bank account. Archos' grand entry will reveal two smartphones: the Archos 45 Helium and the 50 Helium. The Archos 45 Helium has a 4.5-inch screen with a speedy Quad Core 1.4 GHz processor and is capable of transferring speeds at up to 150 Mbps using a 4G/LTE network. The slightly larger Archos 50 Helium is equipped with the same cutting edge technology but has a 5-inch HD 1280x720 screen, 8 GB of storage and an 8 MP camera. Both devices will provide users will full access to the Google Play Store including a wide array of other Google services such as Google Chrome web browser, Google Now voice assistant, Google Apps such as Youtube, Gmail, Hangouts and Calendar and more. “The smartphone has revolutionised the way consumers access information, giving them the ability to instantly view, connect and share ideas regardless of location and time,” says Loïc Poirier, CEO of Archos. Archos' partnership with Qualcomm, leader in mobile chipsets and processors, has helped to engineer and launch smartphones that meet the increasing global demand for affordable 4G technology.